Millstock Stainless Limited was established in the 1990s and quickly built up a reputation for the fast, efficient and reliable supply of quality specialist stainless steel products and services. In 2012 we opened our new, modern premises, designed to allow expansion of the stock we hold and to offer a more efficient and effective service. 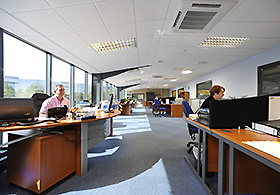 It houses state of the art equipment in a clean and spacious environment. This enables us to offer a wide and varied range of both materials and products, supported by our extensive stock range and global supply chain that will meet all your stainless steel requirements.